My friend Ronda is a great cook and luckily she loves to email her recipes to a group of us. 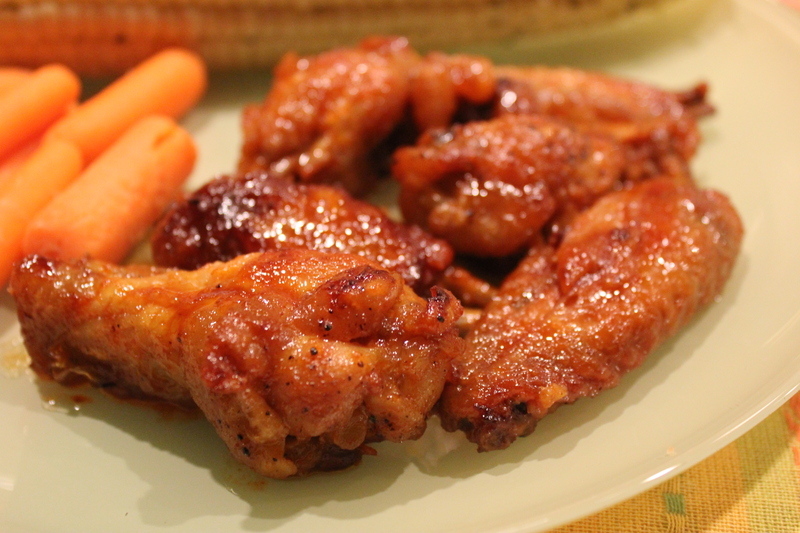 When she sent this recipe for Honey-Sriracha chicken wings, I knew I would have to give them a try, especially when wings went on sale the other day. I use a combination of the wings and drumettes. 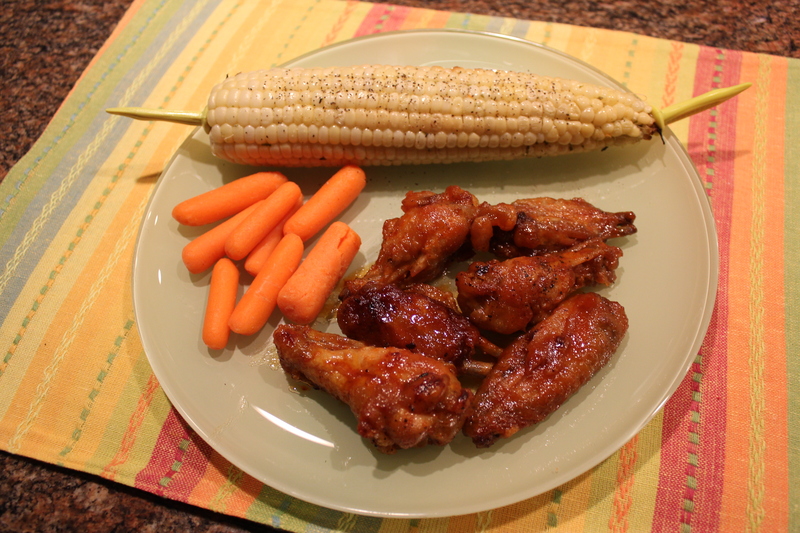 These wings have just enough spice in them from the Sriracha, and the honey lends enough sweetness for a great blend of flavors. This recipe is easy to prepare and the great thing is you bake the wings instead of frying them, which is healthier and not nearly as messy. Lexi and Gabe loved these wings and both asked for seconds! Preheat the oven to 400 degrees F. Lightly coat a large rimmed baking sheet with vegetable oil.Wash the chicken wings, dry them with paper towels and place them a large bowl. In a small bowl, mix the vegetable oil, butter and garlic, salt and pepper. 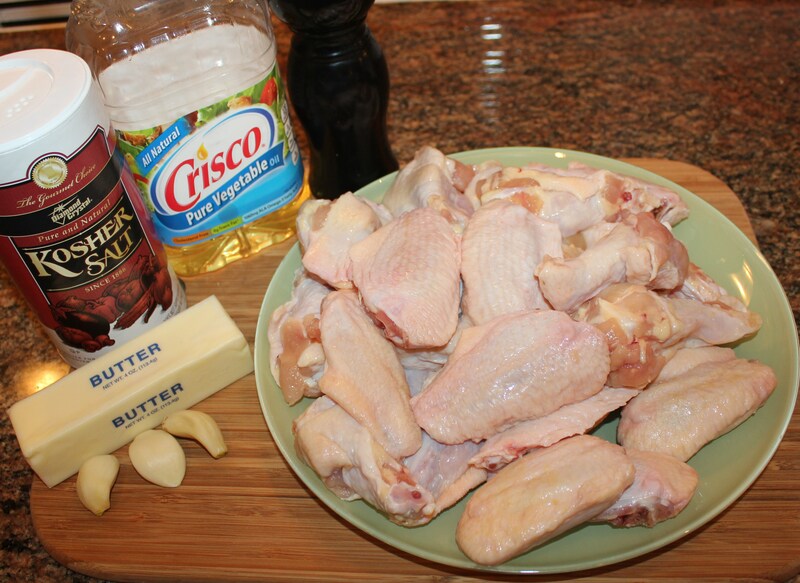 Pour the mixture over the wings and toss well to coat. 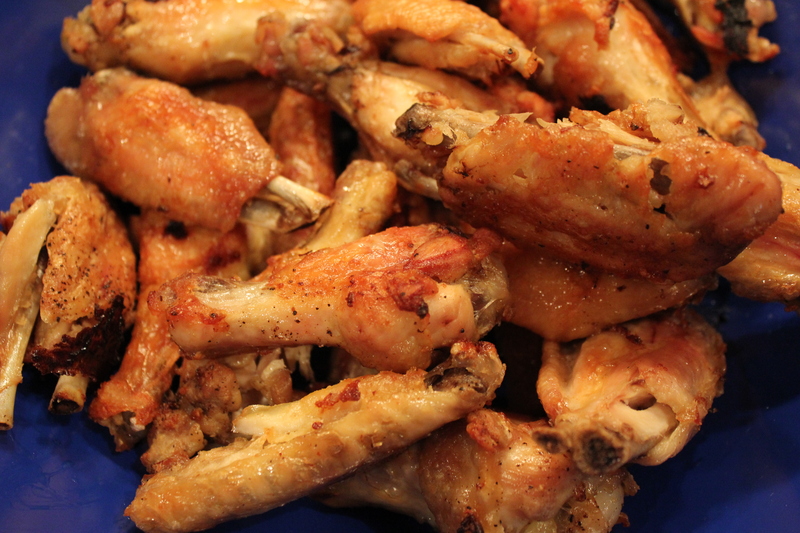 Spread the wings in a single layer on the prepared baking sheet and bake them until browned and crisp, 45 to 55 minutes. Meanwhile, make the sauce: Melt the butter in a small pot over medium heat. 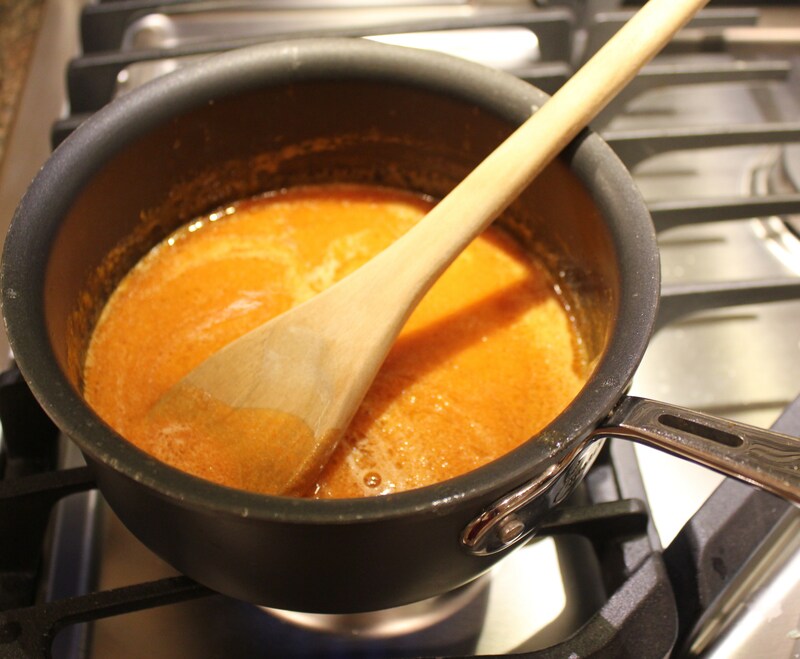 Add the honey, Sriracha, soy sauce and lime juice and stir until the mixture bubbles gently. Remove from the heat and set aside. 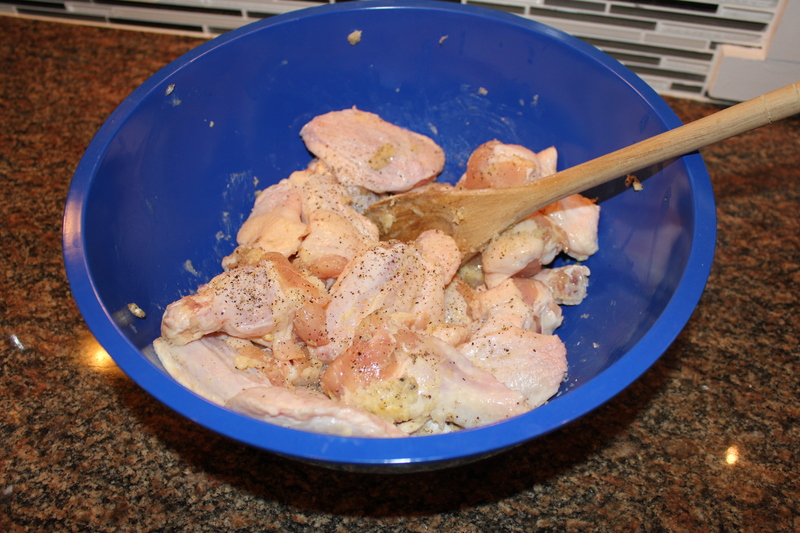 Carefully remove the wings from the baking sheet and transfer to a large bowl. 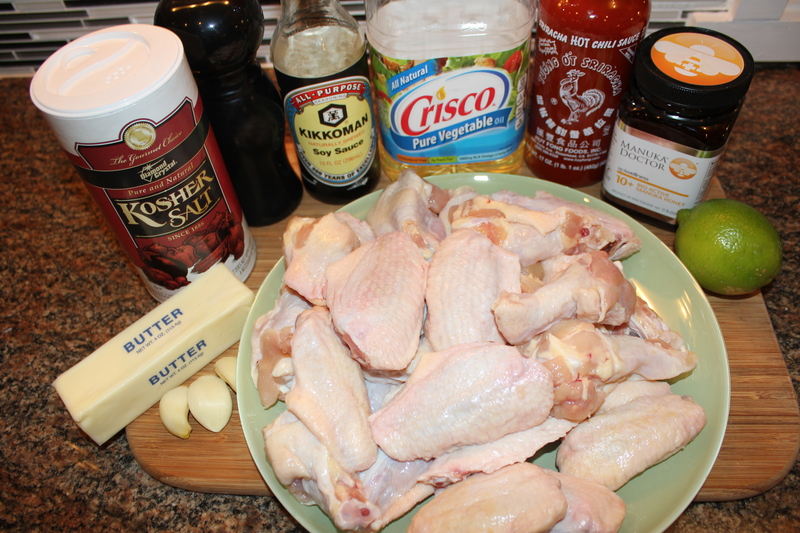 Pour the warm sauce over the wings and gently toss to coat. 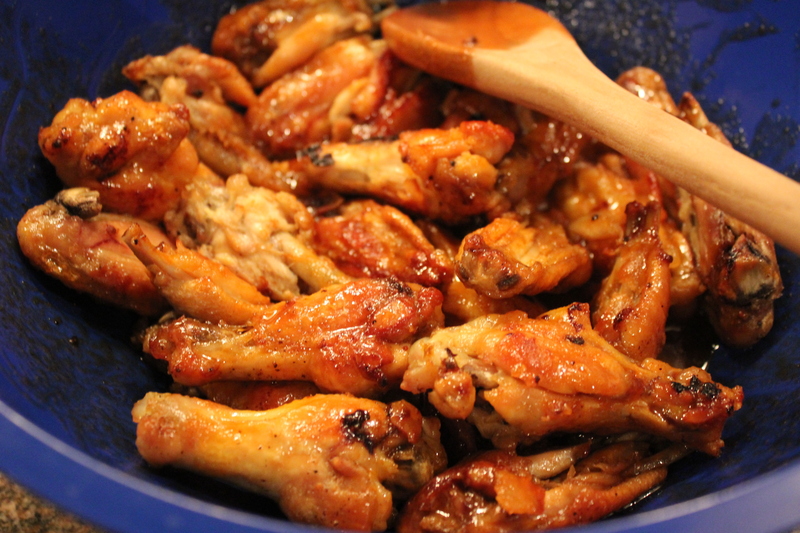 Transfer the wings to a serving platter and drizzle with more honey if desired. I served this with some baby carrots and grilled corn with habanero butter. Break out the napkins, because these are a bit messy! 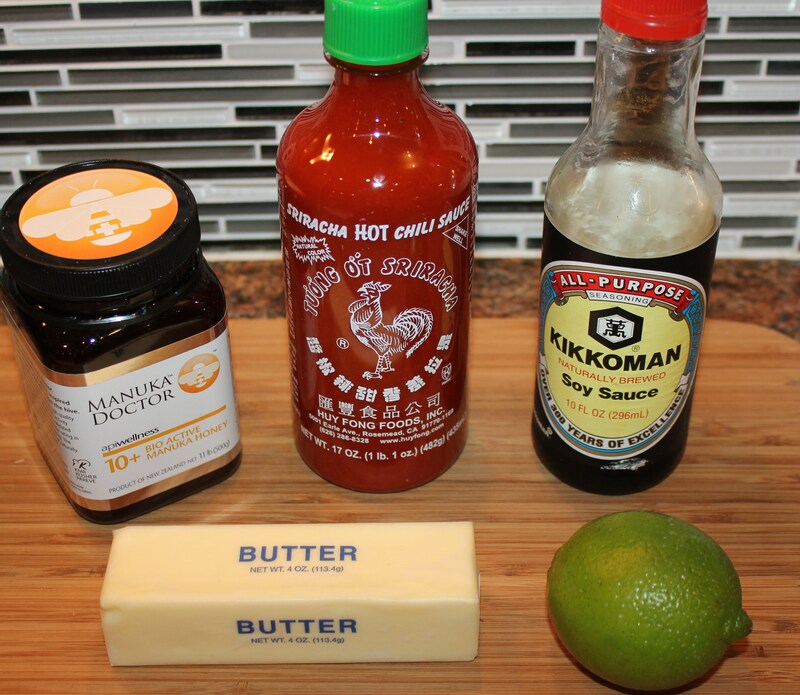 This entry was posted in Meat and Poultry, Recipes and tagged Asian chicken wings, chicken wing recipes, chicken wings sriracha sauce, eat drink and be merry, Kelley Chisholm recipes, Ronda's Honey Sriracha Chicken Wings. Bookmark the permalink. Looks yummy! FYI, I bought some new shoes just because they were called Ronda Mules — and they were spelled that way. Mandi, they are delicious. Try this when you get a chance. You can wear your new shoes while you’re cooking them! Thanks for letting me know, Ronda. While copyright laws do not apply to recipes, I still like to give original sources whenever possible.